I studied Biochemistry for my undergraduate from Kenyatta University and currently undertaking a Masters course in Biochemistry from JKUAT, Kenya. I am interested in cellular immunology and more so on immune functions. I am intrigued by how pathogens like the malaria parasite are able to evade/modify the immune system for their own survival in the host. This interest has come through training while on attachment, internship and now Masters at KEMRI-WTRP. My current MSc research question seeks to find out the effects of secreted extracellular vesicles by malaria parasite (Plasmodium falciparum) on the host immune cells. The information gathered will boost the understanding on parasite-host interactions and on interventions/vaccine development for malaria. My ultimate goal in life is to contribute in positively transforming the society especially in improving public health through research. Joel’s broad research interest focuses on the understanding of transmission dynamics of neglected tropical diseases by studying the interactions between insect vectors, disease pathogens and mammalian hosts. 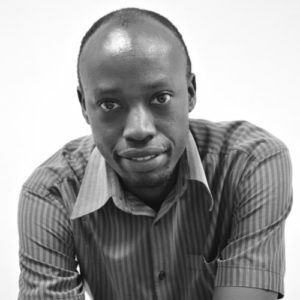 In the last ten years, during his MSc and PhD research studies based at icipe (Nairobi), Joel has been studying the biology of tsetse fly and the African trypanosomes. Trypanosomes are transmitted by the tsetse fly and cause severe diseases in man and livestock. Joel completed his PhD at the University of Wuerzburg (Germany) under the mentorship of Prof. Dr. Markus Engstler, Dr. Daniel Masiga, and Dr. Francis McOdimba. He studied the motility of African trypanosomes, as motility is necessary for survival of these parasites. His study demonstrated, for the first time, the reasons for variations in swimming patterns, speeds, and host-tissue distribution of different species of animal African trypanosomes. Animal trypanosomiasis is a neglected tropical disease that causes huge setback to livestock production, hence contributing to poverty. Driven by curiosity, Joel recently collected some little studied blood-feeding hippoboscids from camels in northern Kenya in order to study their role in transmission of trypanosomes. More than 25% of the flies were infected with trypanosomes, and when these flies fed on experimental rabbits, these animals acquired trypanosome infection suggesting that hippoboscids could transmit trypanosomes. These preliminary findings imply that hippoboscids could be important vectors of animal trypanosomiasis. The award of a THRiVE Post-doctoral fellowship is very essential for the success of this research study whose findings will provide information on vectors of animal trypanosomes in northern Kenya and contribute to disease control. 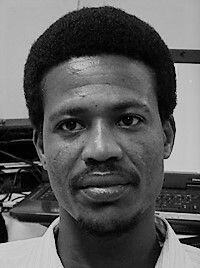 The THRiVE-2 fellowship has enabled Joel to initiate research collaborations with Professor Mark Carrington (University of Cambridge) and Dr. Daniel Masiga (icipe, Nairobi). Both Mark and Dan have huge research experience of over 25 years in the field of African trypanosomiasis, and will provide mentorship during the studies.